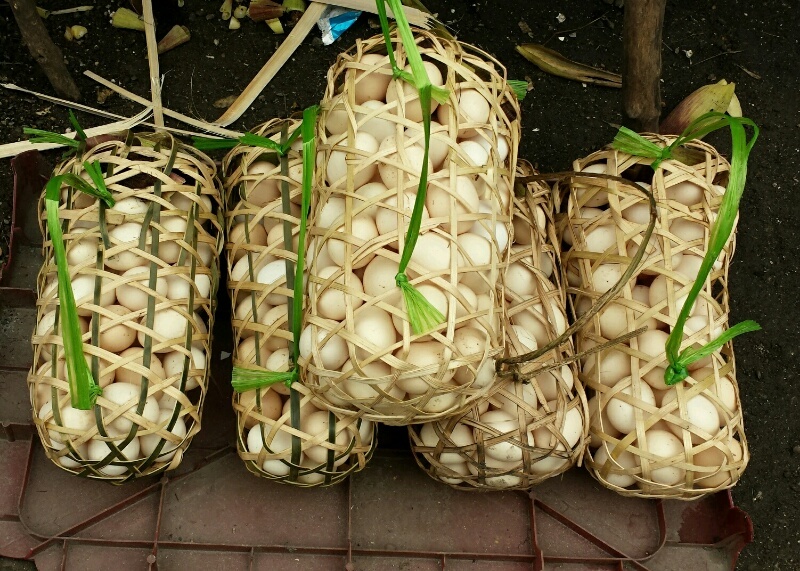 A bamboo basket with straw as handle makes a practical and pretty ‘multi dozen’ egg packaging. 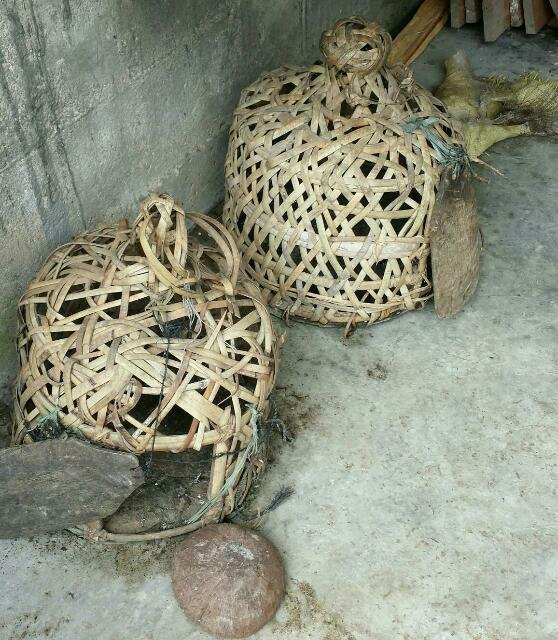 In Ifugao villages, one can notice this dome shaped basket with wooden floor and wooden door used for transporting and caging chickens. 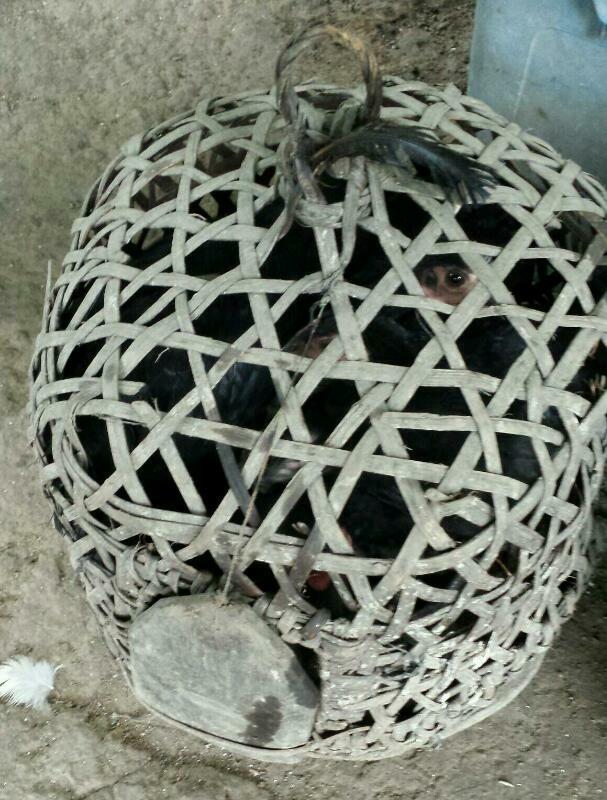 Every morning, they would let the chickens go to freely roam, then gather them once more in the cage before dusk. 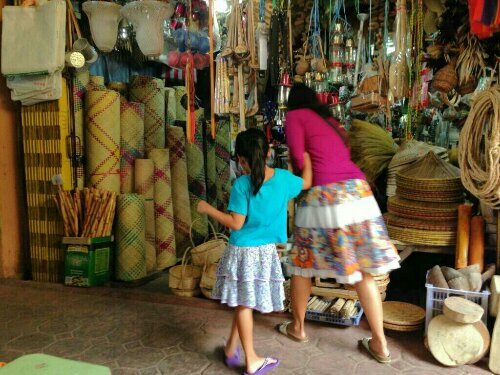 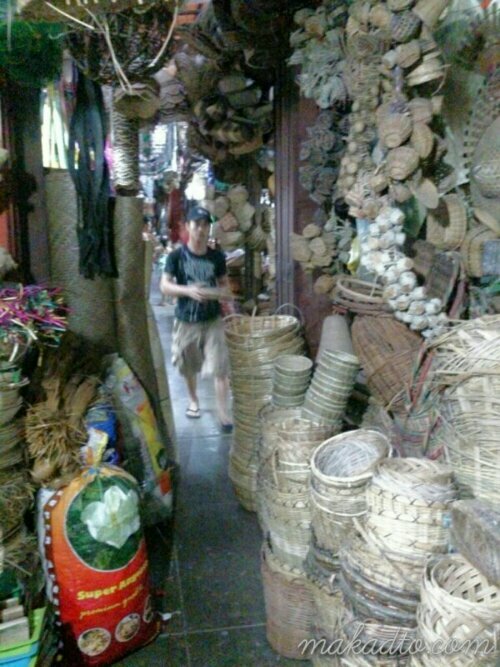 Usually, I’m drawn to the dry goods section in a palengke particularly the native stuff. 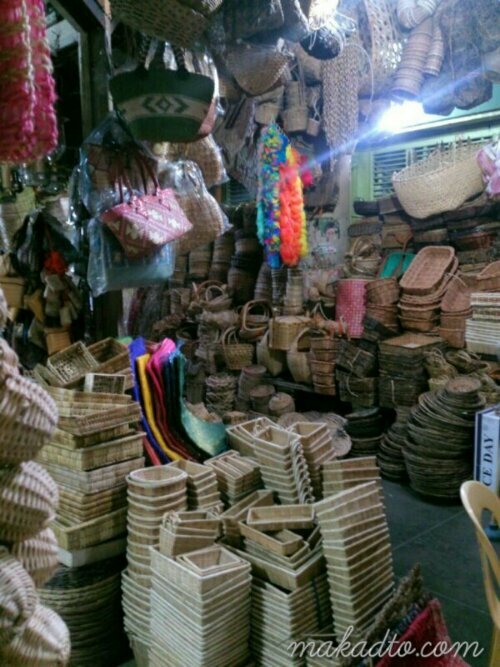 Though some of the old school containers and implements can still be found in some supermarkets, yet I’d rather buy from these palengke folks. 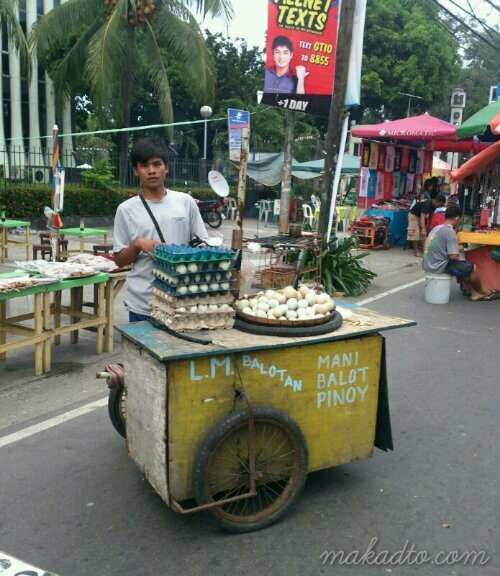 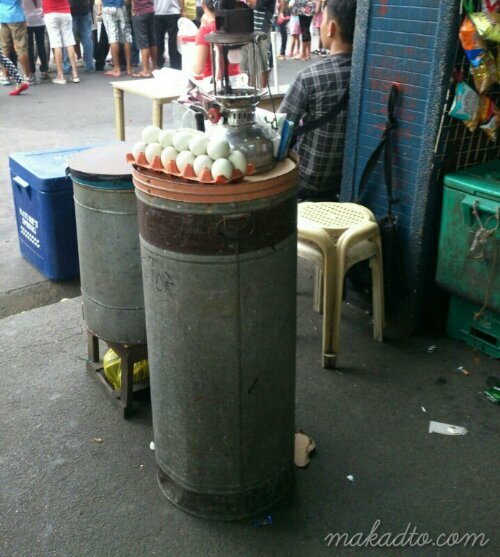 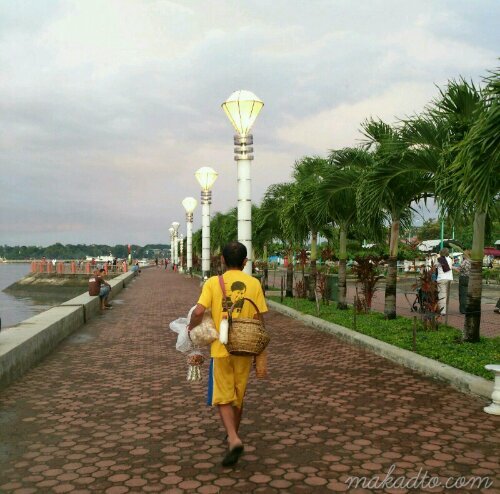 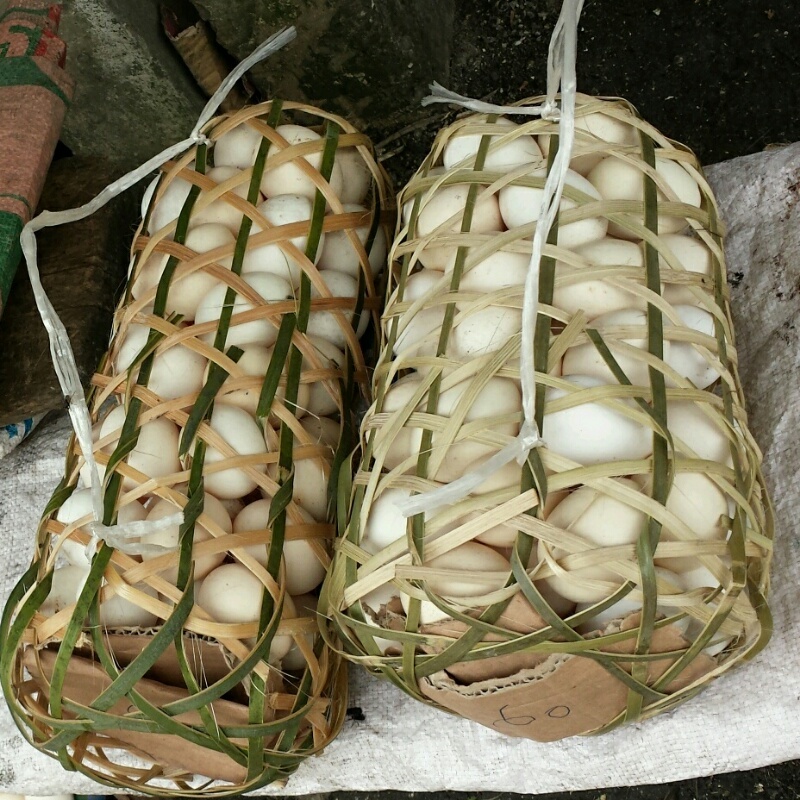 Different modes to carry fertilized duck eggs also known as balut.